Riding through the night in the back of a beat up 4WD truck converted into a makeshift safari vehicle, we are perfectly exposed to the tropical downpour that hasn’t let up for the past two hours. Soaked to the skin, we sway with the truck as it slides in the mud and thunders through the crater-like wheel ruts cut into the main road of Borneo’s Deramakot Forest Reserve. 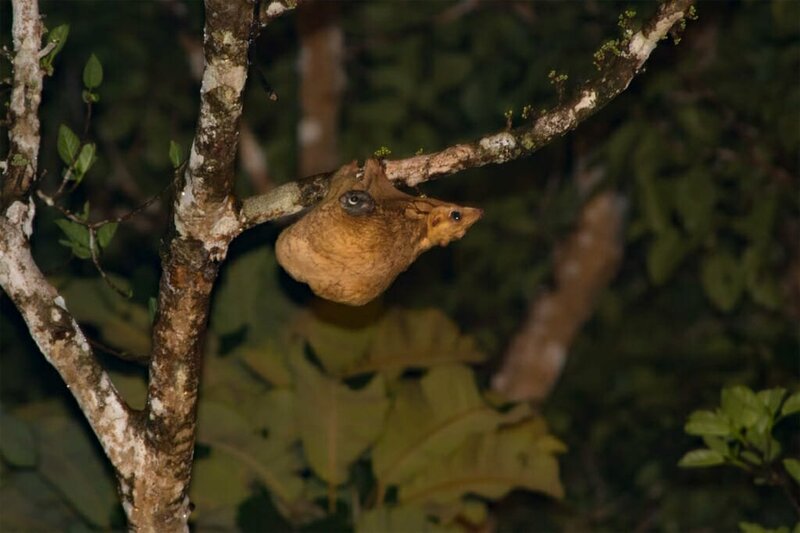 Eventually, the rain eases off just in time for us to spot the first mammal of the night – a Colugo – one of Borneo’s gliding mammals and one of its strangest. Also known as a Flying lemur, Colugo doesn’t actually fly, nor is it a lemur. But it is an excellent glider, equipped with flaps of extra skin that extend from its face all the way to its tail. It labours onto a branch about 40 meters above the forest floor and as it hangs upside down above us, a small face pokes out of the folds of its gliding membrane. It is a young Colugo, clinging to its mother’s belly and surveying the dark jungle around it. “They are so weird”, muses Duncan, one of my companions in the car. “Said a bunch of people who went for a drive in the rainstorm” quips Pieter, his husband. “And paid for it!” pitches in Steve, the fourth member of the team, and we lose ourselves in a fit of laughter. 4 Sunda Clouded leopard, at last! 5 Marbled cat… make it two! 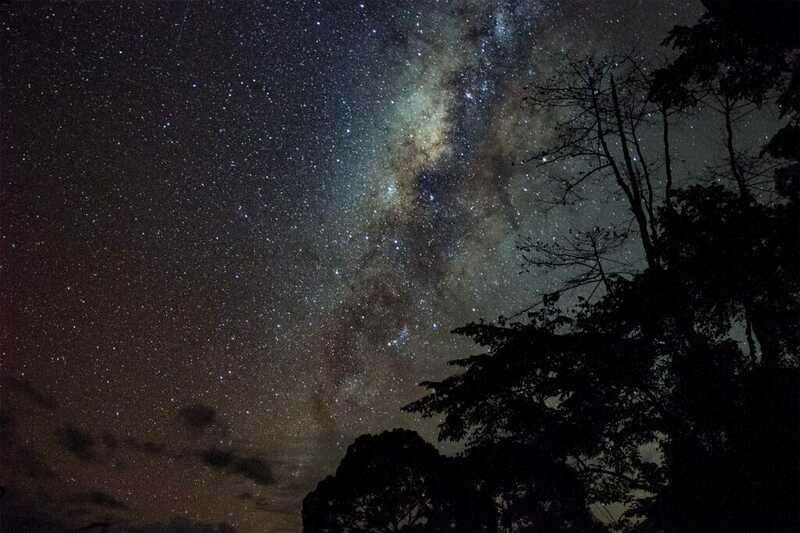 This is the third night of our 10-day mammal-watching trip in Deramakot Forest Reserve in the Malaysian state of Sabah in Borneo and so far, it has rained every day and every night. But we are a team on a mission. 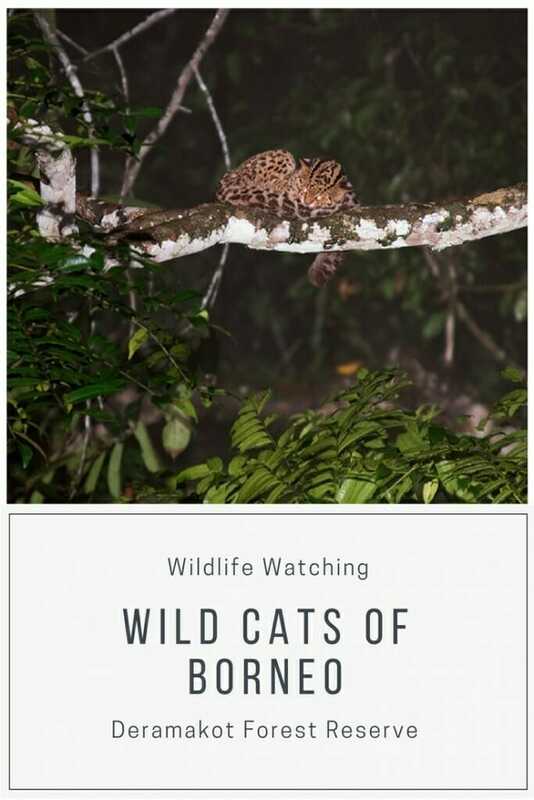 We are here to see the elusive wild cats of Borneo, particularly the Clouded leopard – a cat so rarely seen that not much is known about its life in the wild. Led by Mike from Adventure Alternative Borneo, we ‘go nocturnal’ to match the leopard’s activity pattern: up for most of the night, asleep for most of the day. 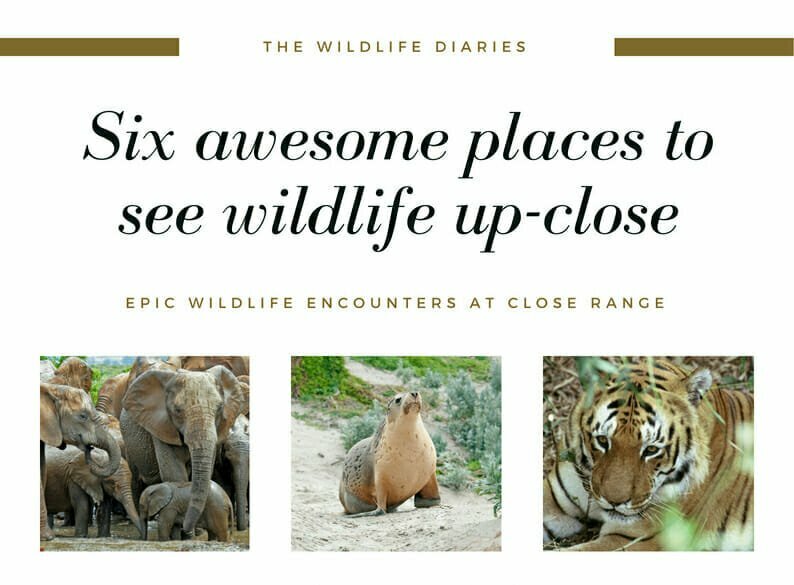 Mike has been organizing mammal watching tours in Deramakot for three years and in that time, he has probably seen more Clouded leopards than anyone else in the world. 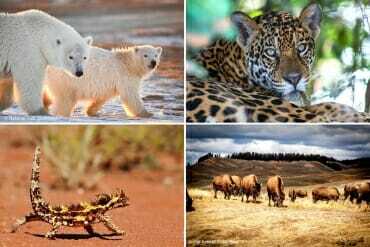 The sightings are not frequent – one or two a month; sometimes two in one night and other times none in more than a month, yet this is the highest success rate of anywhere else on earth. 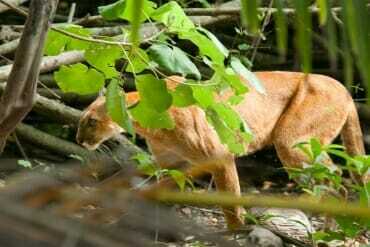 It is counter-intuitive that a logged forest would be the best place in the world to see a rarest of the wild cats of Borneo. Yet in Deramakot, the Sabah Forestry Department seems to have attained the perfect balance between sustainable logging and wildlife conservation – an achievement recognized by the international Forest Stewardship Council. An impressive 75% of mammals in Sabah are found in this 55,507-hectare reserve, including all five species of wild cats of Borneo. 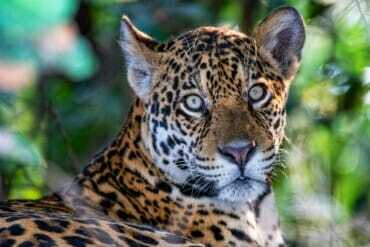 And so, we drive Deramakot’s roads for eight to ten hours each night, hoping that the stars will align and a Clouded leopard will emerge on the road at the exact same time as we are driving by. As we continue on our way, we soon hit an unexpected traffic jam. 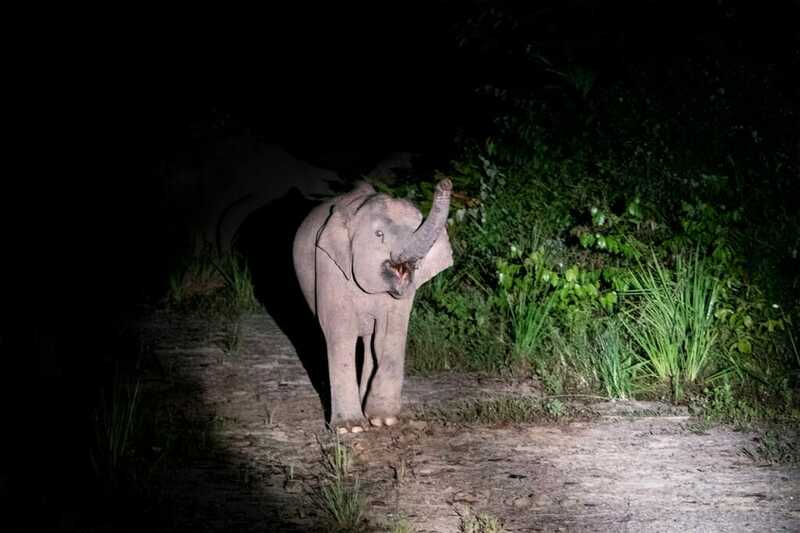 The rain has left a layer of mist in the air and out of the mist the great silent shapes of Borneo Pygmy elephants float into the muted beams of our headlights. At first, it is business as usual: we stare at the elephants; the elephants ignore us, as they spill into the roadside vegetation around us. 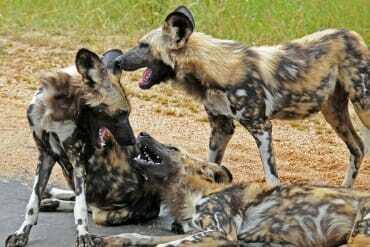 Then, a young female becomes obviously interested in us. Flaring her ears and bobbing her head up and down, she walks towards us dancing from one foot to the other like a Haka war dancer. Caught in her own excitement, she turns around mid-step and continues walking towards us bum-first, turning her bobbing head back to see where she is going. She almost touches the front bumper of our truck with her great leathery bottom before quickly walking away, as if she is afraid to get in trouble with the adults. She needn’t have worried; the adults pay no attention to her antiques. The only sign of annoyance they display is a bout of loud trumpeting when we inch our way past the herd. To break up the long nights on the road we stop for tea and coffee breaks. During these breaks, Mike teaches me the tricks of long exposure photography. He is an excellent teacher and within a few nights, I capture my first image of the Milky Way during a brief moment of clear sky. To take my photography to the next level, I consider investing in a drone for my next trip and capture the sweeping vista of wild landscapes. 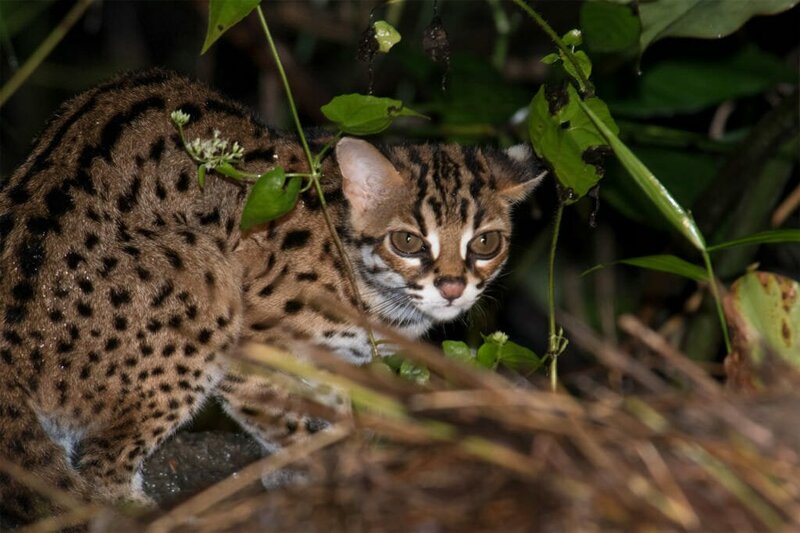 On the way back to camp, we spot the first of Borneo’s wild cats – the dainty little Leopard cat sitting on a mud bank beside the road, its coat glistening with droplets of rain. Steve proclaims his pet theory, that cats often emerge onto the road to dry off after heavy rain, and I desperately hope to see a drenched Clouded leopard to prove him right. Every night in Deramakot runs to a different script. One night turns into the night of gliding locomotion in action as we first watch a Pygmy flying squirrel glide across the road, and then a Gian Red flying squirrel soar across a wide gap in vegetation. 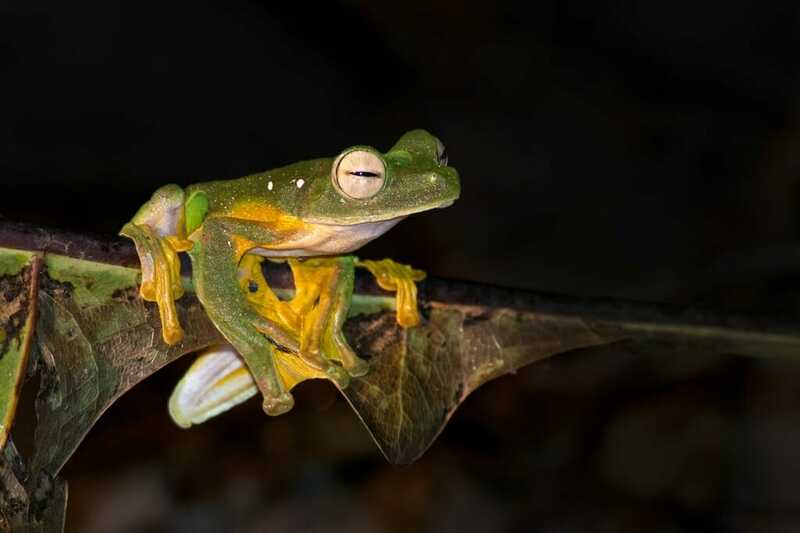 Even frogs have taken to the sky in Borneo. We find some of these flying amphibians – Harlequin flying frogs, in a roadside puddle during the coffee break. Another night, we spot an unusual eye-shine in a distant tree and for the longest time, we can’t see what it is. “You know the rule”, jokes Mike, “if it takes more than five minutes to work out what it is, it is probably a Binturong”. And sure enough, the animal finally pokes its face through the canopy and it is the big-eyed and pointy-nosed face of a Binturong. Sunda Clouded leopard, at last! On Duncan and Peter’s last day in Deramakot, we head out at 2 pm – early morning in our nocturnal world. Driving to the sound of Borneo Gibbons song, we come across a giant snake slithering across the road. Impressed by its formidable size, we get busy identifying it from photographs to see whether it was a King Cobra or a Rat Snake. 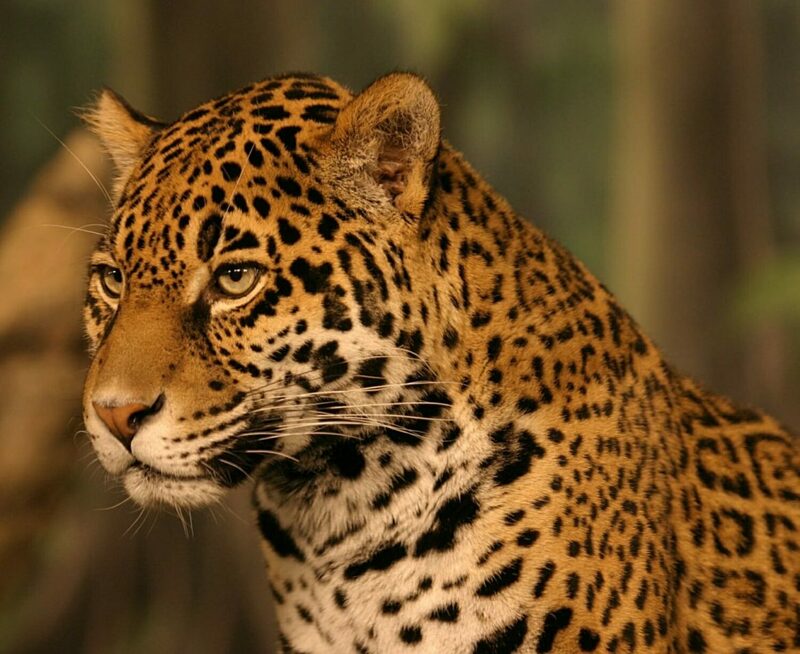 “Clouded leopard!” Mike’s urgent whisper comes like a bolt out of the blue. The truck lurches to a sudden stop and we scramble out still too shocked to fully comprehend what is happening. I follow Mike at a ninja trot a for a couple of meters up the road, crouch down, look in the direction he is pointing and see the back end of the most exquisitely beautiful cat. 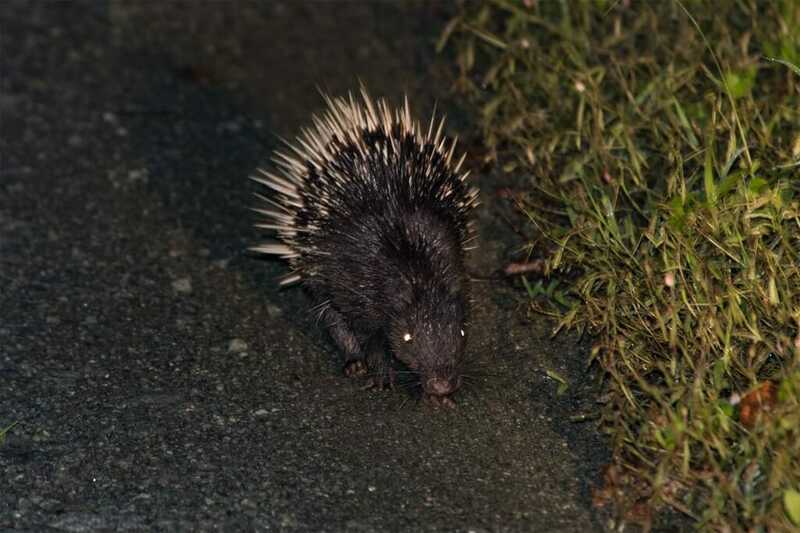 It is walking into the thick vegetation on the side of the road, it’s exceptionally long tail held off the ground and coiled at the end. 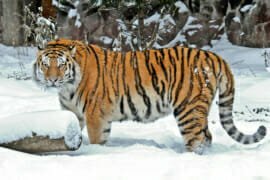 As it walks higher up the slope, it turns sideways and suddenly I see the entire animal – its beautiful feline face and the sharply defined black clouds on its velvety grey coat. When the cat disappears out of view, I realize that I have been holding my breath during the entire encounter. For a while everyone is silent, and then as if on cue we explode in adrenaline-filled excitement, shaking hands with Mike and sharing our observations. “The head was small, there were no bits under the tail” – it was a girl. A smallish one. 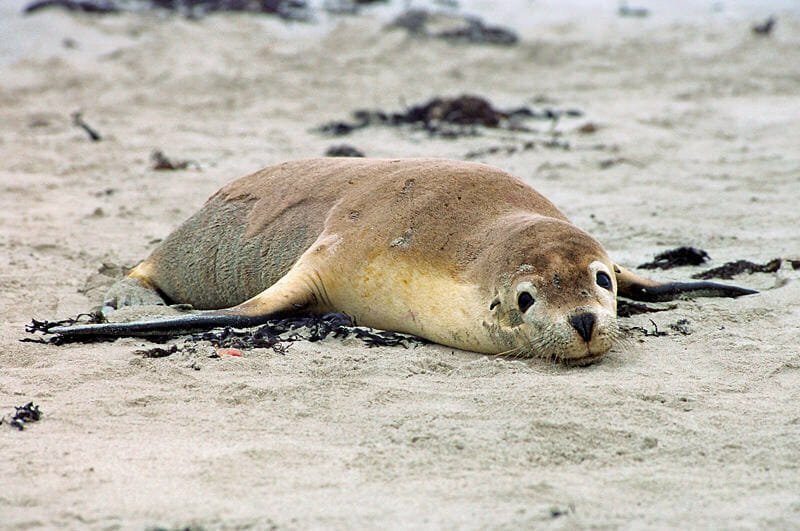 A young female. What was she doing walking around in the middle of the day? 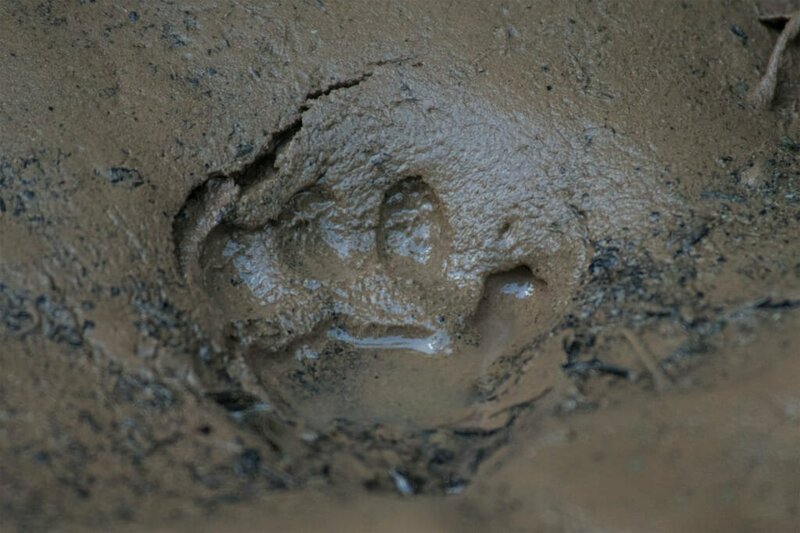 I stare at the footprint she left in the mud and realize that it has taken me a total of 21 nights in the field to spot a Clouded leopard in an encounter that lasted about 30 seconds. But it is the 30 seconds that I will remember for the rest of my life. Further down the road, we come across the elephants again and the war-dancing youngster is only too happy to put on an encore performance for us. She even added an element of war dress to her routine by throwing a trunkful of grass on her back. 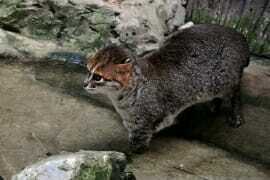 Marbled cat… make it two! 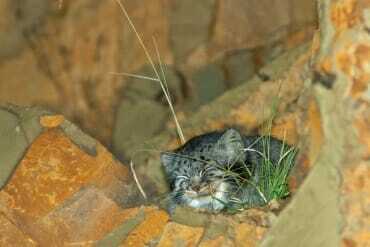 The following night we get word that a Marbled cat has been sighted near kilometre 10 marker. Not as well-known as the Clouded leopard, the Marbled cat is just as elusive and rarely seen. We all but inhale our dinner eager to hit the road. By the time we reach kilometre 5, the sky suddenly opens up and a solid wall of rain falls on us from above. The rain is so heavy, we can barely keep our eyes open. “Rain is good” encourages Mike. “In the rain, the cat will stay put under the relative cover of the tree”. We escape the deluge in a small shelter on the side of the road at kilometre 10 and to entertain ourselves, we count the number of seconds that pass between a strike of lightning and the consequent clap of thunder, to estimate how far away the centre of the storm is. 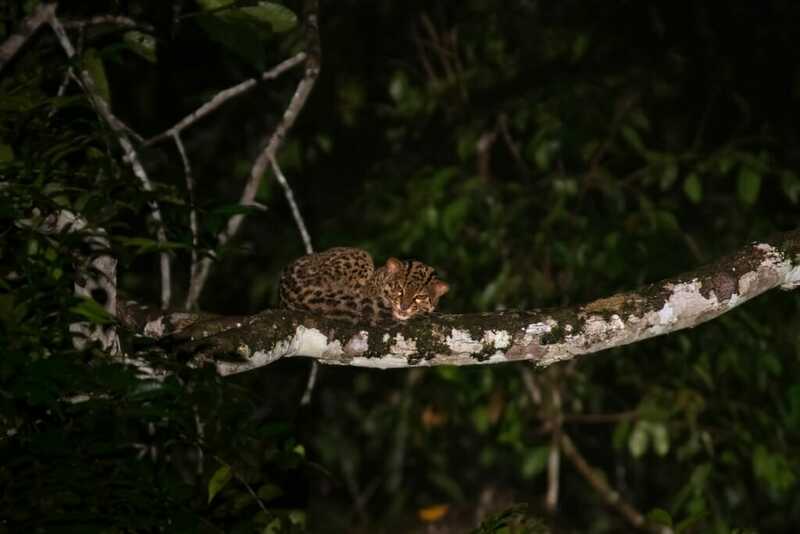 When the rain is reduced to a light trickle, we climb back into the wet truck, turn around on the slippery road, look up and immediately spot the Marbled cat, curled up on a branch 40 meters above us. Apart from its small size, it is so similar in appearance to a clouded leopard that an inexperienced observer could easily confuse it for its cub. We watch the stunning cat stretch, yawn, walk along the brunch and effortlessly jump onto a higher one. This is obviously as active as the cat is going to get. It curls into a compact ball on its new perch and settles in for another snooze. 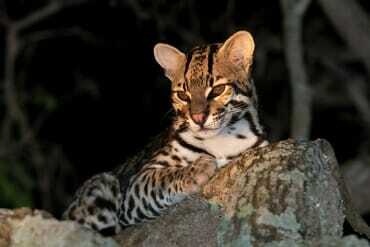 Captivated by the cat, we almost miss another eyeshine higher up in the tree and when we do check it out, we are stunned to discover another Marbled cat. Not as happy at being discovered as its neighbour on the lower branch, it slinks off into the thicker part of the canopy, leaving us guessing whether it was the parent of the younger and the more tolerant cat below. 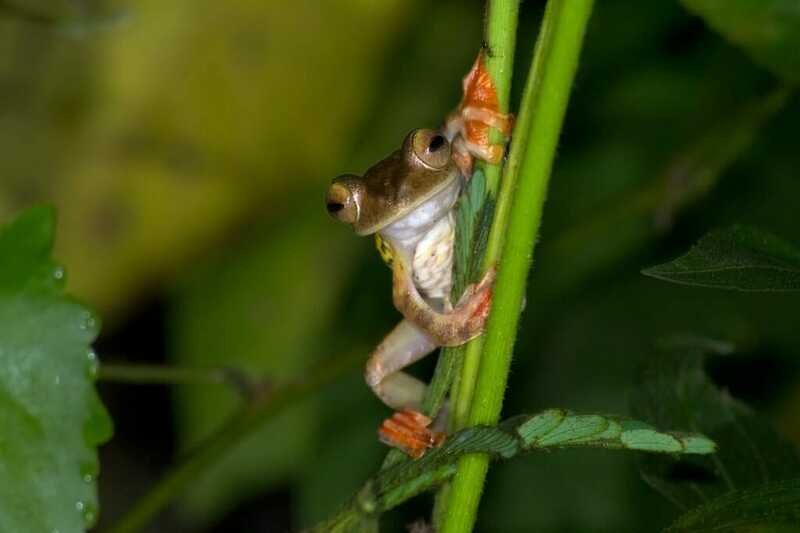 On my last night in the jungle, Deramakot generously reveals more of its unique inhabitants: Wallace’s flying frog, a Malayan porcupine and a wealth of different bat species. During the coffee break, Steve, our designated bat specialist turns on his bat detector and we listen to a series of clicks and claps emitted by the echolocating bats. The sky above is surprisingly clear and I set up the tripod in the middle of the road for my final Astro-photoshoot. To discover even more wildlife in Borneo without breaking the budget, check out this comprehensive guide to diving on Sipadan Island, located off Sabah’s east coast. 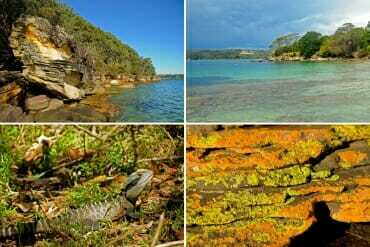 My snapshot review of this trip appeared in the Sydney Morning Herald’s Traveller section. The main accommodation option in Deramakot is the three-bedroom chalets that come equipped with hot water showers and air-conditioning. The transfer from Sandakan airport or hotel is included in the tour. 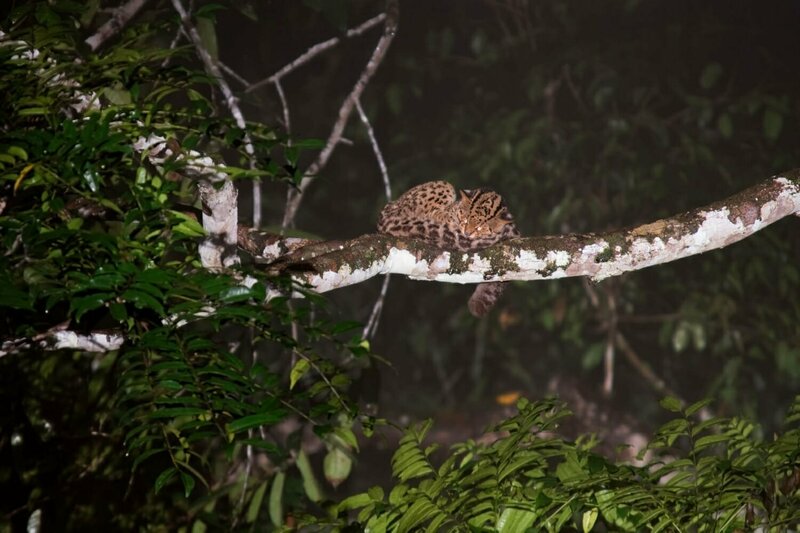 Just weeks after our trip to search for the wild cats of Borneo in Deramakot (the trip report can be found here), Mike – our guide filmed this incredible footage of a female Clouded leopard with two cubs. The female in this video looks very similar in coloration to the one we spotted on the trip. Overall, it was a more successful trip then my earlier trip in February, when we failed to find a Clouded leopard, but did see a Marbled cat and a few other rarities. So amazing to see a family of 3 clouded leopard yesterdy, truly a once in a lifetime opportunity. It started a bit hectic as I was driving and had a macro lens attached, so I had to run out into the back, change lenses then sneak back to the #cloudedleopard. They were very relaxed though. I didn't take any photos as it was dark so I opted to video and just take screen grabs, here are a few. 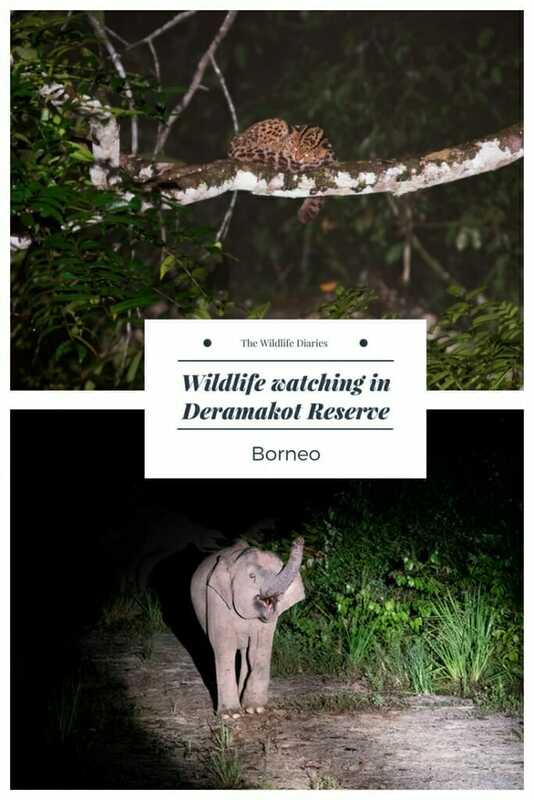 Do you have any questions about visiting Deramakot or about wildlife watching in Borneo? Don’t think twice, leave a comment! I lived in SE Asia for years, but never once made it to Borneo. What a shame…I had no idea it was such a wild life hot spot. 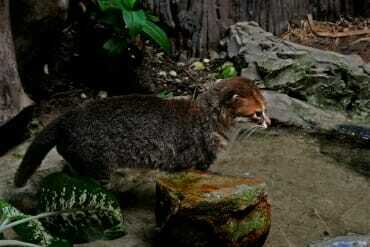 I’m a cat lover too…I’d love to give the marbled cats a cuddle…maybe! You have just sold me on Borneo. 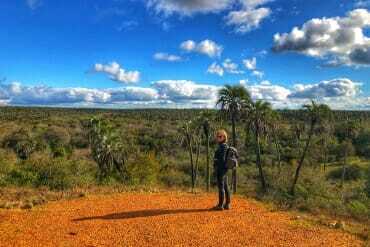 It is going on my travel todo list. I love spotting wildlife. Oh, fantastic! You won’t be disappointed, Lyn. 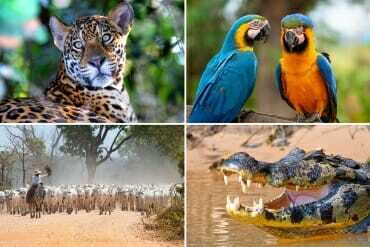 Danum Valley, Deramakot and Kinabatangan River are fantastic spots for wildlife. Sounds like a most amazing adventure in a place I knew little – really nothing – about. Thanks for sharing your experience. I had no idea there was such a great variety of animals on Borneo. 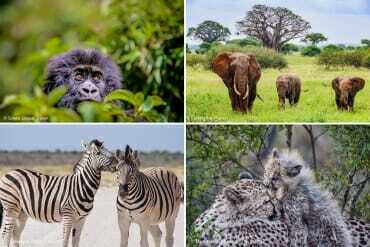 Looks like a great alternative to an African safari to me! This. Is. Epic. What an amazing connection you made with the baby elephant! Oh wow, this is just incredible! 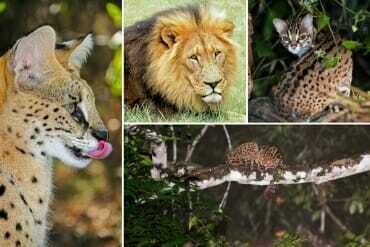 What stunning creatures. And I love the way you write – so evocative.